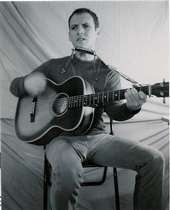 Trevor Caswell is a Canadian Folk singer. Trevor contacted me some time ago and wanted to know more about Mow Cop specifically the Old Man O'Mow. Trevor was given a book on the Old Man O'Mow as a child and remember it vividally enough to write a song about it. You can download the song above and if you like it then visit his site and hear more.